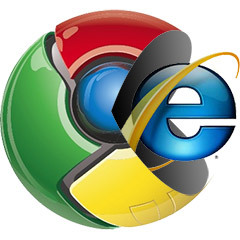 A day later I wrote on Google Chrome Frame plug-in, the Chromium team announce that they are pulling back the support for Chrome frame plug-in, really unfortunate. It’s quite a shock for me, but over 5 years GCF has done a good job. So, if you have any application pointed to Chrome Frame, you could redirect the user to whatbrowser.org and prompt the user to download the latest browser. May be its time to revamp old application that depends on old browsers and renovate it using latest technologies.